It’s been hard. It’s taken us a long time but it’sfinally here. 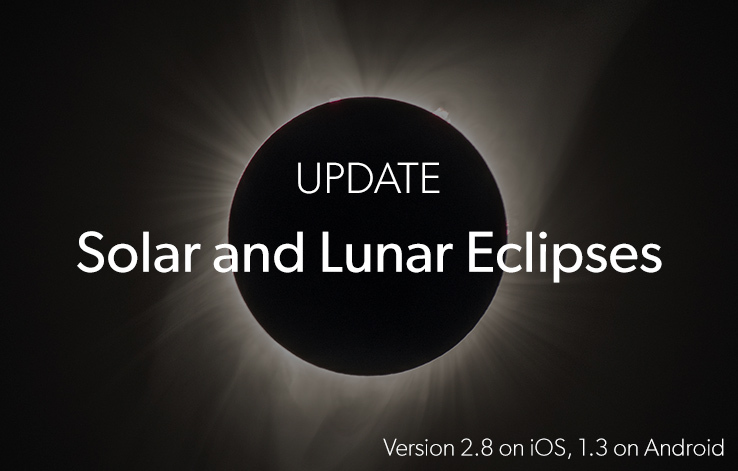 This is one of the coolest PhotoPills updates we’ve done since the Milky Way planner! You decide what information you wish to see on the map! You’ll find the Map Settings button next to the (+) Map button, at the bottom right-hand corner of the map (Planner). 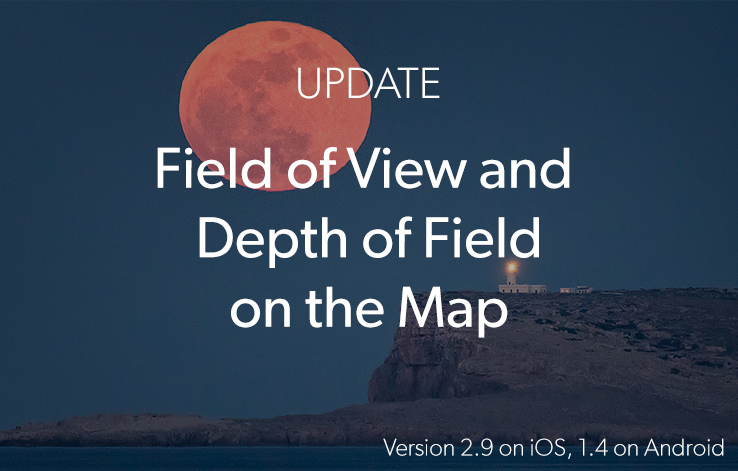 This button allows you to choose: Camera mode, Drone mode, Map type, Map layers (Sun, Moon, Milky Way, Twilights and Shadows) and Reset Map layers. Tap on the “eye” icon you see on the left of each Map Layer to switch it on/off. And tap on the layer to choose from the different types when available. Use the Camera Mode to plan the photos you wish to take with your camera. But, to plan your Drone shots, use the Drone mode! 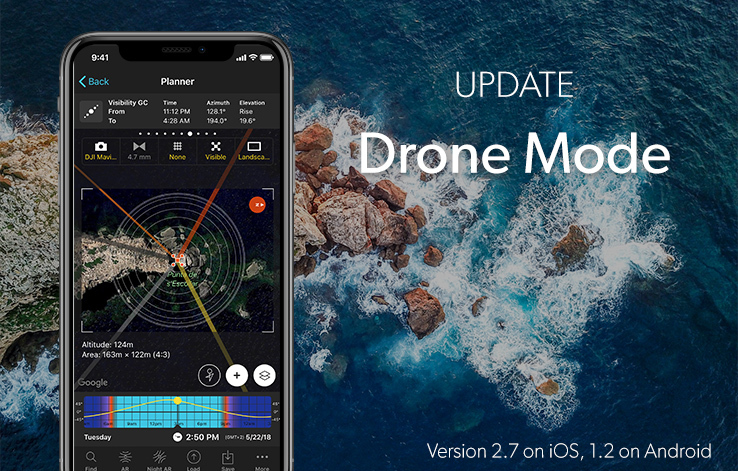 The Drone mode shows you the frame captured depending on the altitude of your drone. So, navigate the map. Look for lines, patterns and symmetries. And when you find something interesting, rotate the map and zoom in and out to adjust the drone altitude and composition. Once you have planned a shot, save it as a Plan (Planner > Save) or share it with a friend via email (Planner > More > Action > Email). Drone selector: Select your drone or the camera you’ve attached to a drone. My drone is a DJI Mavic Pro. Focal length: Select the focal length you’ll use with your done. If it’s in grey it displays the fixed focal length of your selected drone (4.7mm for my drone). Composition grid: Choose from different composition rules (thirds, golden ratio, triangle, diagonal, golden spiral, etc.). Visible/Invisible: Hide the Sun, Moon and Milky Way map lines to enjoy a clean view of the map. Landscape/Portrait: Choose between landscape and portrait shooting orientation. Enjoy the information you need to plan your Sun shots! Standard: Sunrise and Sunset directions (thick azimuth lines) for the selected date. Direction of the Sun (thin azimuth line) for the selected date and time. Path: Path and position of the Sun for the selected date and time. Light direction: Position of the Sun and light direction for the selected date and time. Show Sun size: It shows the angular diameter of the Sun on the map. Use it when planning a long distance Sun shot. Zoom on your subject and on the Sun azimuth line to see how big the Sun will be compared to your subject. Plans and Points of Interest improved: when importing a backup, existing Plans and POIs won’t be duplicated. 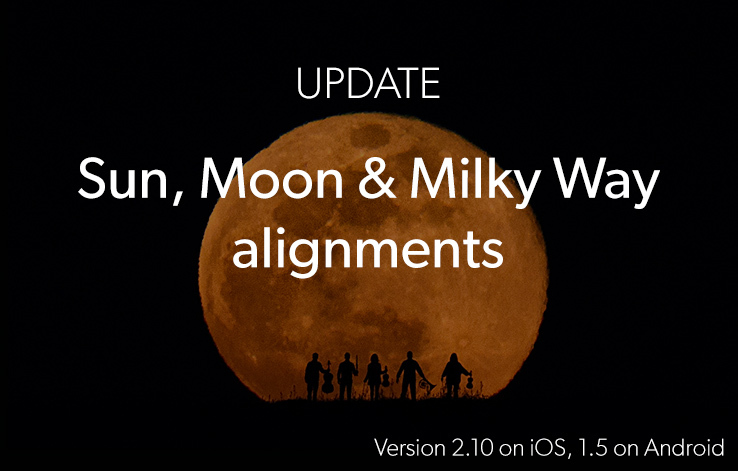 Film cameras, cameras with fixed focal length or fixed aperture are now supported. Planner > More > Action > Maps now uses Google Maps if the app is installed to calculate the route to the Red Pin location. If not, it uses Apple Maps. When adding a Plan to the Calendar (Planner > More > Action > Calendar) it also adds a reminder one hour before the event, in addition to the one day before alarm that was already created. New cameras added: DJI Phantom 2 Vision, Phantom 2 Vision+, Phantom FC40, Phantom 3, Phantom 3 4K, Phantom 3 Advanced, Phantom 3 SE, Phantom 4, Phantom 4 Pro, Phantom 4 Advanced, Mavic Pro, Zenmuse X3, Zenmuse X4S, Zenmuse X5, Zenmuse X5R, Zenmuse X5S, Zenmuse Z3, Zenmuse X7, Mavic AIR, Spark; GoPro HERO, HERO2, HERO3 Black Edition, HERO3 Silver Edition, HERO3 White Edition, HERO3+ Black Edition, HERO3+ Silver Edition, HERO4, HERO+, HERO5, HERO6; Yuneec Typhoon H, Typhoon H PLUS, Breeze 4K, C23, E50, E90, CG04, CG03+, CG03; Canon EOS 4000D, EOS 2000D; Olympus PEN E-PL9; Fujifilm X-H1; Pentax K-1 Mark II; Panasonic Lumix DC-ZS200, Lumix DC-GX9, Lumix DMC-LZ40, Lumix DMC-LZ30; Sony a7 III; Film cameras: 35mm, 35mm Panoramic, Medium Format 6x7, 6x6, 6x4.5, 6x9, Large Format 4x5, 5x7, 8x10, 11x14, 16x20.